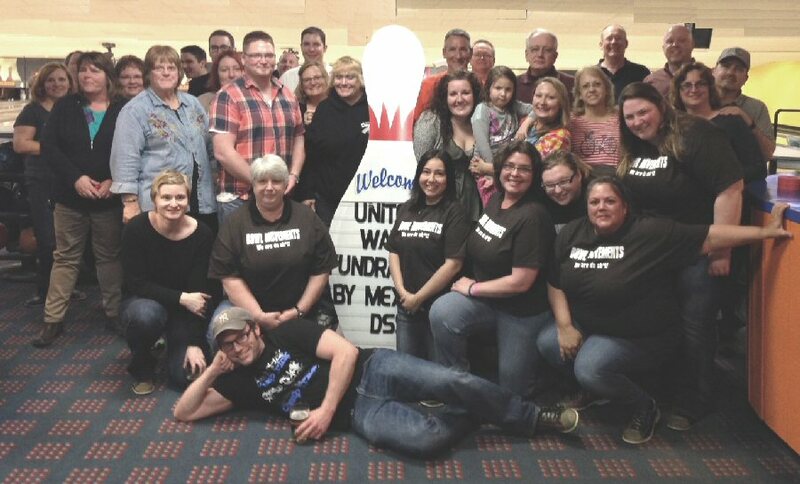 FULTON, NY – Staff and friends of the Oswego County Department of Social Services gathered to show their support for one of Oswego County’s most vital agencies, United Way, as they participated in the Fourth Annual DSS Spring Bowling Fling. Held recently at Lakeview Lanes in Fulton, the DSS employee bowl-a-thon raised more than $870 in support of United Way. Staff and friends of the Oswego County Department of Social Services raised more than $870 in support of one of Oswego County’s most vital agencies, United Way, as they participated in the Fourth Annual DSS Spring Bowling Fling at Lakeview Lanes in Fulton. Ferry added that DSS staff recognizes the positive impact that United Way has in Oswego County. Working through 20 local partner agencies, United Way of Greater Oswego County supports 34 programs in five areas of service: emergency services, children and family services, health and special needs, senior services, and youth development. For more information on your United Way, call 315-593-1900.